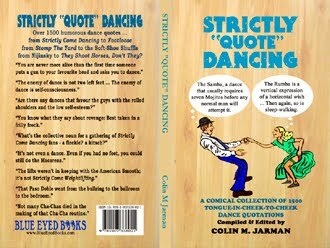 Blue Eyed Books is a publisher specialising in light-hearted volumes of Humorous Quotations across many areas of popular culture. Our books and articles are very contemporary with content included right up to the day of publication. 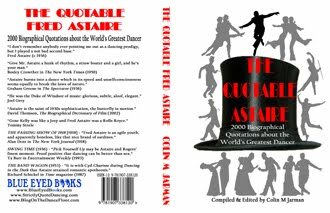 This makes our range of books extremely current, which coupled with the quantity of great quotations make excellent value for money. Our books also make for excellent and affordable gifts. We source a lot of content from the more obscure - less reported - areas as well as mainstream media: newspapers, magazines, websites - and, where applicable, movies, TV, radio. 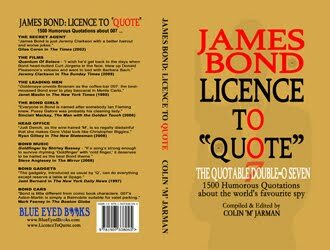 At Blue Eyed Books we define "Humorous Quotations" as anything amusing, witty, droll, clever, jokey, comical, happy-go-lucky, rib-tickling, thought-provoking, chuckle-making, side-splitting, grin-inducing, belly-laughable, navel-gazingly reflective ... or just plain funny.